If you’ve ever visited someone’s house and felt that it was a bit too dark in each room, you may have thought, “All they would need is one well-placed lamp.” With any lighting design, it’s important to take into account the task and accent lighting that floor and table lamps can provide. You never want to rely solely on the overhead fixture to illuminate the entire room, and lamps can provide the inviting and intimate appeal that you want your living or family room to have. They also provide light for reading and writing in your home office, and help you save power by providing light where you need it, instead of always having the ceiling fixture turned on. 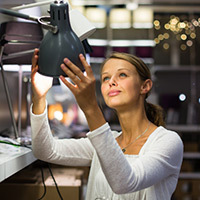 At Passion Lighting in Grapevine, we have an outstanding assortment of lamps for your home. 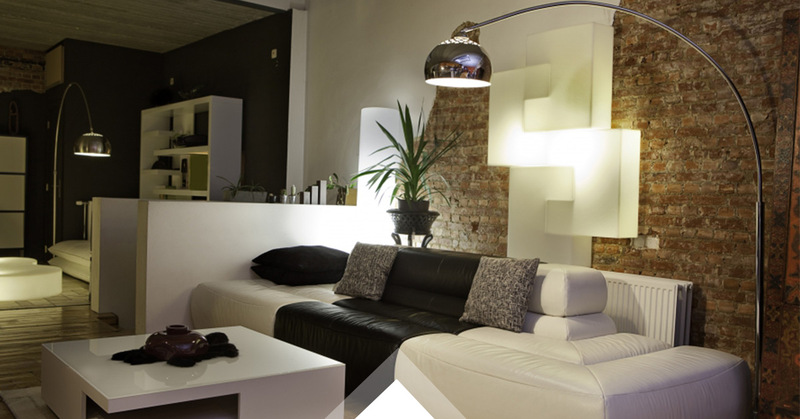 The living room is perhaps the one space where lamps are the most useful. Lamps on end tables can provide light for reading, and are perfect for when you’re watching a movie but don’t want all the lights on. Floor lamps behind your favorite chair also provide great reading light, and the lamp can help brighten a corner that doesn’t receive much light from the ceiling fixture. The bedroom requires a diverse lighting design, with the right overhead fixture for daytime use and lamps for reading before bed. You need to be able to see while walking from the master bath to your bed, but having the overhead light on can make it difficult to unwind before going to sleep. Lamps provide adequate task and accent lighting that can be adjusted to set the right mood and help you relax before turning in for the night. If you have a buffet or credenza in your dining room, a well-placed lamp can help highlight any decor you have on display. The main fixture in your dining room may be a small chandelier, and adding lamps that complement the chandelier can make the lighting design feel complete. A unique style of lamp can also act as a conversation starter during your next dinner party. The right lamp in the right spot can make your home feel more complete and eliminate those unwanted shadows and dark corners. It is important to balance dark and light throughout each room, but if it’s too dark, people won’t feel as comfortable in your house. After the sun sets and you’re sitting in the living room catching up on the latest news, you don’t necessarily need to have every light on; switching on a nearby lamp can provide the light you need and help you relax at the end of a long day. When you’re shopping for new table and floor lamps, come to Passion Lighting for excellent options and exceptional prices. We’re proud to serve the greater Dallas/Fort Worth area, and would love nothing more than to help you find the perfect lamp for your home. We look forward to seeing you soon!